Happy New Moon in Taurus! It's Tarot Tuesday, and we're here to work- on our intuition, that is! If you're new, here's how it works. Go to the Facebook page, choose your card, then come back here to see how well you did. For the veteran wildlings, let's get to it! Have you noticed a pleasant popularity in your life? Are you feeling more upbeat about your present situation as well as the future? Have you noticed that you no longer get annoyed at things that you once found aggravating? You might be so active and upbeat that the appearance of the Queen of Wands Tarot card in your reading will not be a surprise at all. Your optimism and active daily routine reflect using your creative energy to be part of the good solutions in the world. Your reading will reveal where you can best apply your cheery, classy approach to life. In the present position, this card indicates that you are at a new plateau in your development. You are able to more clearly see where you have been, and can appreciate the trials and tribulations of days gone by, as much as you can the victories, for the beneficial and detrimental have made you a more complete person. Careful, though! Uranus has moved into Taurus today, and that is all about shaking up folks and forcing us off our plateaus. Be ready for anything, and use what you've learned to navigate the next 7 year cycle. Are you feeling alone? Abandoned? Betrayed? Have irreconcilable differences divided a once healthy relationship? 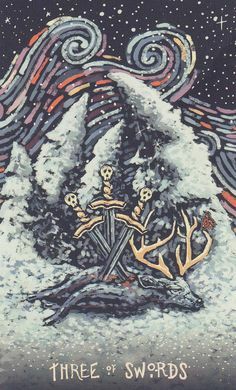 The Three of Swords is a card that represents your pain. What lies on the other side of this sorrow can be enhanced understanding and joy. Allow yourself to fully experience any sorrow or pain that comes up now, so that you can move beyond it. In general, this card can point to very deep emotional issues that must be addressed before the querent can move on. Denying pain does not make it go away (any more than denying a broken leg makes it heal.) 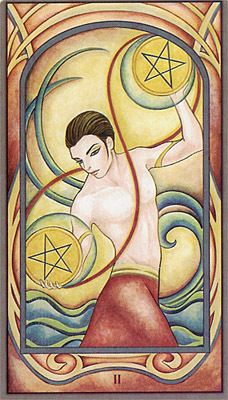 However, attention must be paid to balance here also as it must be paid with the 2 of Swords. Allow yourself to experience any pain that comes up now, but do not wallow in it. You do not and should not wallow in grief or sorrow for long. However only you can decide how long is long enough. Others can't decide it for you. There is a silver lining, here. Note that the swords are all in a position of rest. While life has been painful, there is no more damage to be done. Tears are sacred. Let them flow, and let them heal. You've been through the pain, and you have learned. Remember the lessons, and rest. 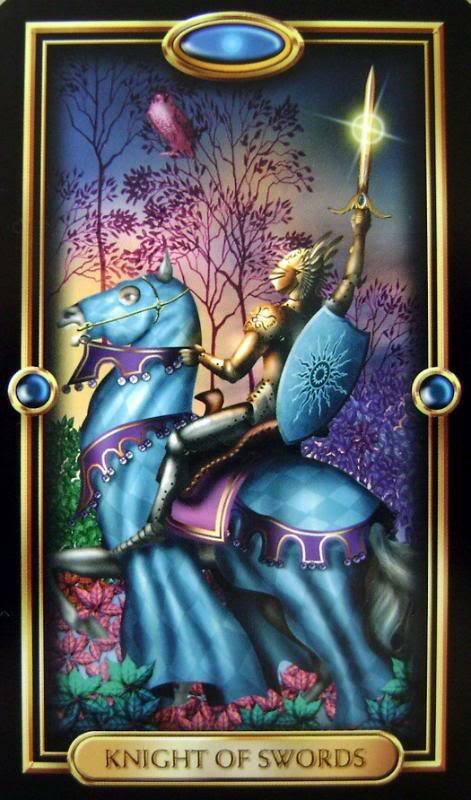 In general, the Knight of Swords is a change card, it tells you that a big change is coming, one you have been awaiting for quite some time, and you better be ready to roll with it when it does. It’s time to jump in and seize the moment! 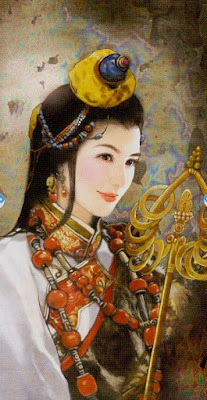 This is a Minor Arcana card of being assertive, direct, honest, quick-witted, and intellectual. It signifies being dashing, daring, brave, courageous, or rebellious. It also represents being talkative, ambitious, forward thinking, focused, and single-minded. When this card appears in your Tarot reading, it can indicate that you go against the flow and have great leadership qualities and that you are a perfectionist and a risk taker. 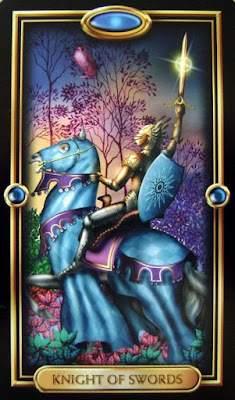 In your present position, the Knight of Swords brings with him the possible opportunity to change your life in a big and meaningful way, although it may not seem that way at face value. This speaks to Uranus moving into Taurus today, shocking us out of our complacency, and forcing us to determine what we really want from life. What makes it meaningful? 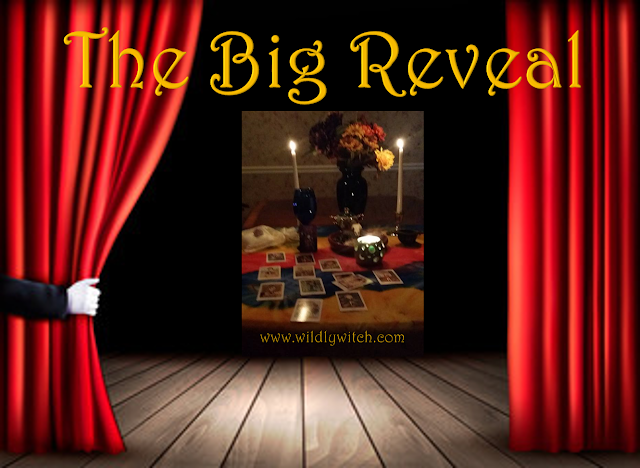 How does the energy of this card help you make that decision? If you feel as though you are sacrificing one aspect of your life for another, try to figure out a way to balance the two. A popular example of this is someone who spends all of their time working while making little to no time with their loved ones. Find a way to nurture both for a happier future. Remember, with Uranus moving into Taurus today, something could happen to try to shake you out of any complacency in which you have been stagnating. Remember to keep your balance as you navigate right now. How did you do? What questions do you have? How can I help you more? The best conversations are on the Facebook page. Come join us there!